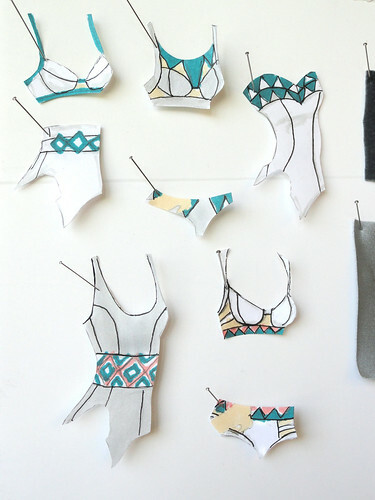 These are my swimwear designs for bodywear class. I'm going to execute 2 of the triangular detailed ones! Kate Middleton dress predictions for draping class. Mine is on the right minus the rhinestone belt and buttons from my sketch. It has been a super exhausting week, but my bathingsuit and English essay feedback was good. Yay! I love when my sleepless nights pay off! Anything big you've been working on this week?